A friend approached me with a family recipe. She told me that her mom would make it for her on her birthday, but now she was at high altitude and wanted it adjusted for her next birthday. I took on the challenge, making it vegan as well. When my friend took a bite she smiled and said it tasted just like the cake she remembered. The ultimate compliment. Preheat oven to 350F. 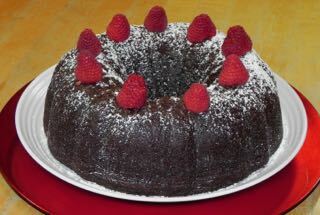 Use shortening to grease a bundt pan and then dust with cocoa powder. Set aside. Mix boiling water with cocoa powder and instant coffee and whisk well. Set aside to cool to room temperature. Cream together margarine, sugar and tofu. Sift together flour, salt, baking soda and baking powder. Alternate adding cupfuls of dry ingredients then cocoa liquid to creamed margarine mixture. Scrape down sides. Add vanilla and beat until fluffy. Pour batter into prepared bundt pan. Bake for 60-65 minutes, or until a toothpick inserted in the center comes out clean. Cool completely on a wire rack. Unmold and dust with powdered sugar. My first baking memories are from when I was 12 and made cakes from box mixes and slice-and-bake cookies. It wasn’t long before I began to look at recipes as a starting point that could use a special touch. I added M&Ms to cookie dough and mint extract to fudge. My family loved sweets and all experiments were happily gobbled up. Zip ahead a few decades and you’ll find me into all kinds of gastronomic adventures. When my husband and I first dated I asked him over for a home-cooked meal. He said, “Sounds good. What are you making?” I replied, “I’ll let you know when I’m done.” (Don’t worry—dinner was great). Present time has me living in Boulder, Colorado. I moved here from Santa Fe, New Mexico and both offered challenges…baking at high altitude in low humidity. I bake vegan for health reasons, so that added another layer to the baking puzzle. I accepted the challenge head-on and started experimenting. After practicing on some recipes I started this blog to share the pleasure and pain as I chart my progress. The idea for this has been rolling around in my brain for weeks. After meeting the folks of Hanuman Chai at a local market, I decided that the heavenly scented ground chai needed to be incorporated into my baking. 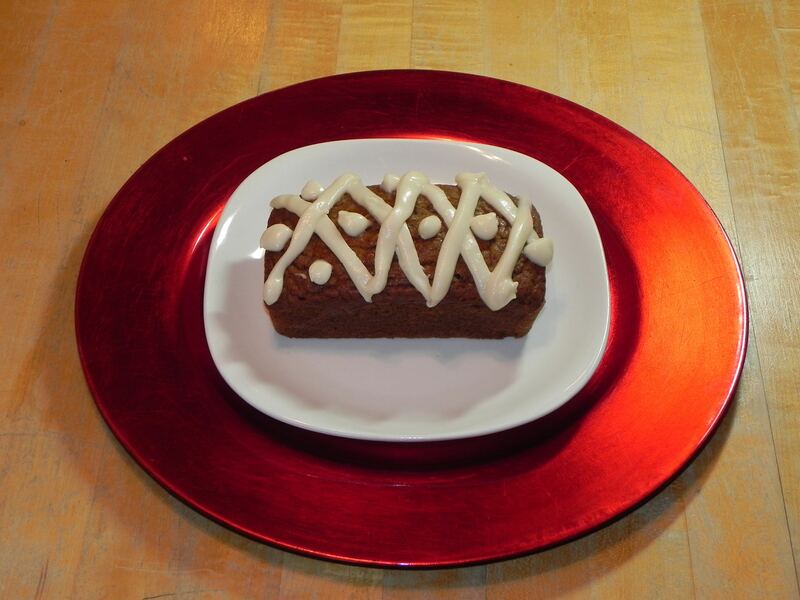 I had been high altitude tweaking a recipe called Pumpkin Cinn-a-zag Bread and knew that it would be a great vehicle for the chai spices. I added a few of my signature adjustments and came up with this recipe. Preheat oven to 350F. Lightly grease a pan with cavities for four mini loaves. In a large bowl, sift together flours, baking soda, chai spice, and salt. Stir in sugar. In a medium bowl, whisk together pumpkin, oil, apple sauce, and milk. Add wet ingredients to dry ingredients and stir until just mixed. Pour the batter evenly between three of the four mini loaf pan cavities. Add a few spoonfuls of water to the empty cavity. Bake for 35 minutes until a toothpick comes out clean. Let loaves cool in the pan on a cooling rack for 45 minutes. Run a knife around the edge to loosen and turn bread out of the pan to finish cooling on the rack. For Frosting: cream together cream cheese, margarine, and vanilla in the bowl of a stand mixer on medium speed. Slowly add powdered sugar. Put in a plastic zip bag and cut a corner off the bag to pipe a design onto the breads. You can also slather the frosting over the top of each bread with a spatula. Cover and store bread in the fridge. If unfrosted, bread can be stored at room temperature. Makes 3 mini loaves. This blog was launched a few years ago when I moved from sea level to 7000 feet. It was an experiment to adapt my recipes to be vegan and work at high altitude. I have since moved to a different level of high altitude at over 5000 feet. 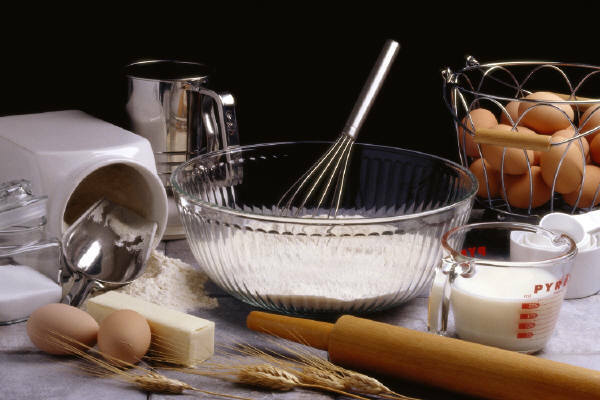 In baking – this is significant. So, now I am on an adventure to modify past high altitude recipes to slightly lower and also to find new recipes to play with in my vegan kitchen. Grab a glass of milk substitute. We are in for a tasty time.